Ruby saltbush is a small shrub common in arid regions of Australia and some coastal areas in the southern half of the country. If prefers open areas and is often found around the base of trees in partial shade. The leaves are small, green / grey in colour and in the shape of a tiny sausage. The stems are brittle and covered in tiny hairs. 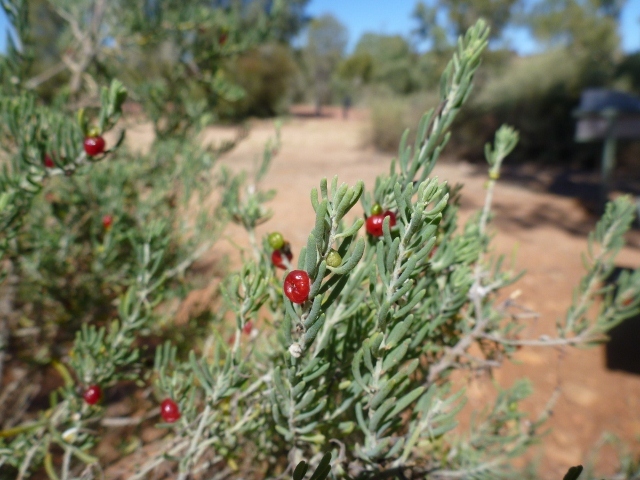 Ruby saltbush produces small red or pink berries after rain, at any time of the year. 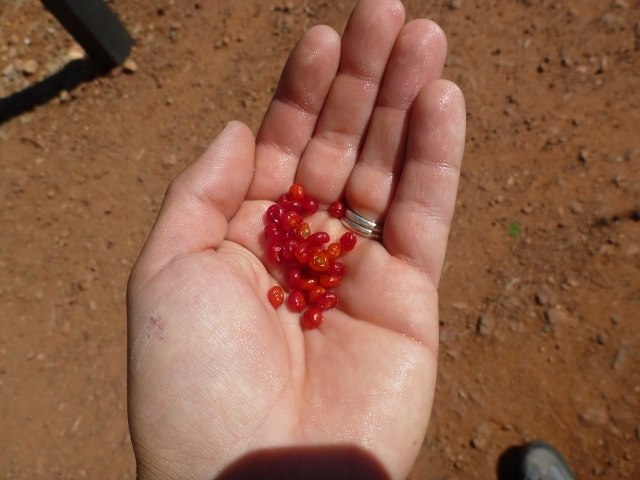 The berries are around 5mm in diameter and consist mostly of a large seed, making their food value slight. They taste of sweet berry flavour. 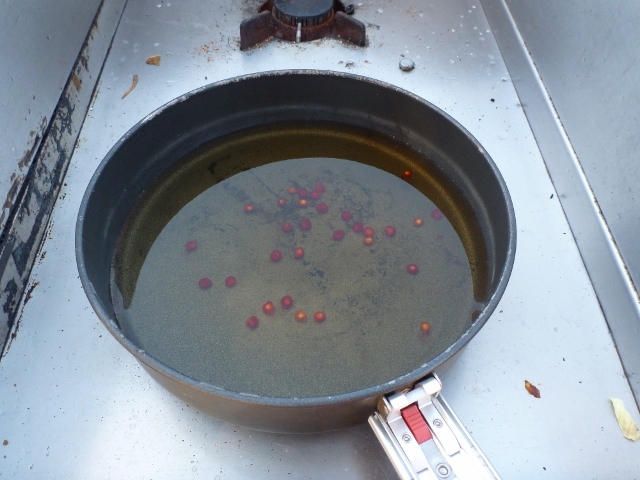 The berries can be collected and boiled in water to produce a sweet drink. The young leaves can be boiled and used as a vegetable substitute. I tried making a tea but it ended up being bland. Not enough berries I suppose. Hey Robbo that’s interesting. Some sources indicate it’s useful for livestock grazing. The berries are good for people though, I know that from eating it! Oh, but the aftertaste is revolting!! Did anyone else find the aftertaste to be crazy bitter? ?